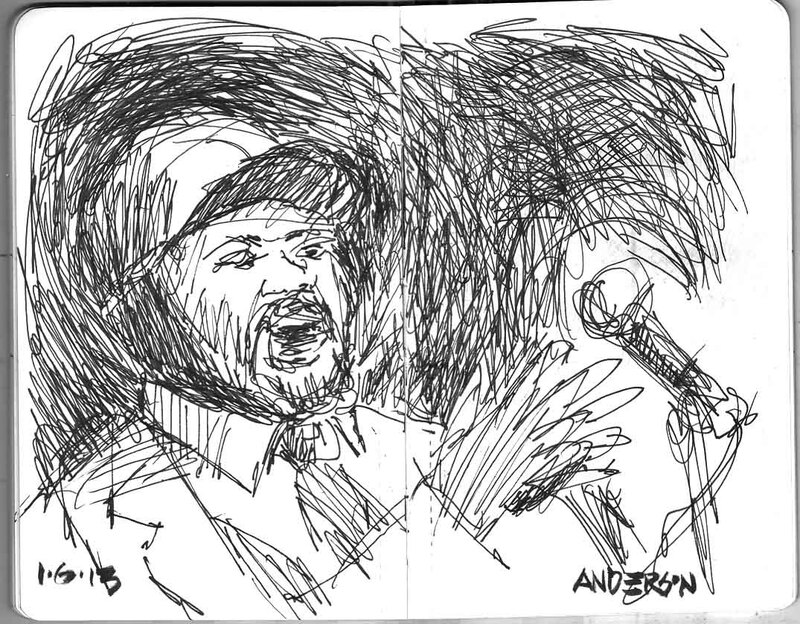 Thank you Michael for bringing Gregory Porter and this wonderful song to me with your introductory sketch. Great way to start a Monday. I've shared it to my Facebook wall. Michael...I love jazz and love your sketch. The drawing really conveys a sense of energy! Thanks. Thank you for your nice comment Dave! Gregory Porter is definitely worth checking out. Oh, that is NICE. What a terrific marriage of drawing and text. What a marvelous sketch and post!